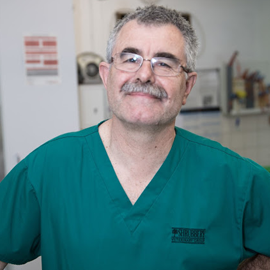 David qualified as a vet surgeon from London University in 1977 and has worked at Shrubbery Veterinary Centre ever since! He’s now co-owner of the practice, together with Natalie Devleeschouwer, and spends his time overseeing the running of the business as well as consulting and operating. David’s special interests include surgery and tortoise care, not least because he has five of his own at home (as well as his dog Henry)! In his spare time, David likes to go sailing and fishing, play golf and support Ipswich Town football club. 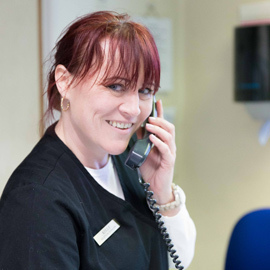 Natalie has been at The Shrubbery since 2011, and as Clinical Manager has a lot to keep up with at the practice. Aside from taking part in consultations and surgeries, she also supports and mentors the rest of the clinical staff, ensures protocols are followed and kept updated, and even carries out audits to maintain our high standards of care. Natalie became a Director and part owner of the practice in 2015. At home Natalie has a 9 month old German Shepherd called Ziva. Natalie's previous dog Sherka had a number of issues related to her age and so Natalie has a particular interest in managing pets with chronic pain and carries out acupuncture treatments on animals in practice. Magda “started her adventure with veterinary medicine" in 1999, working as a veterinary nurse. She then graduated from Warsaw University of Life Sciences in 2005. She has worked in small animal practice in Kent since 2006. Magda has an Interest in internal medicine, dermatology and soft tissue surgery. In free time she reads, writes and does her best to catch up with her daughter, Joanna. 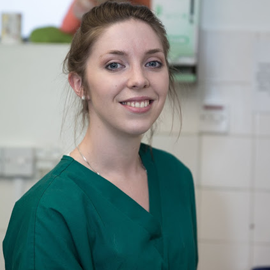 Katie completed her veterinary nurse training in September 2009, during which she won the Azko Nobel price for Most Improved Student in her final year of training. After completing a National Diploma in Animal Care, Angela joined The Shrubbery in 2000. 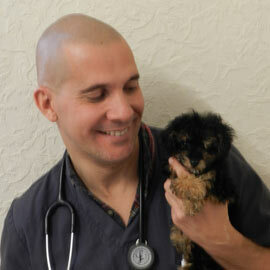 She completed her nursing studies with us and qualified as a Registered Veterinary Nurse in 2005. Angela has a particular interest in all aspects of pet dentistry and is heavily involved with patient dental care at the practice. She has also completed certificates in feline and canine dentistry. 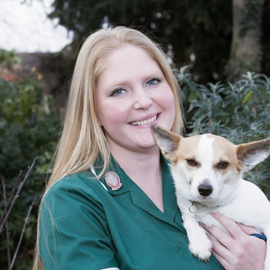 Katie joined the team in 2003 and qualified as a Registered Veterinary Nurse in 2010. Her main interest at work is radiography. In her spare time Katie enjoys going for walks with Charlie, her Border Collie rescue dog who she adopted through the practice. 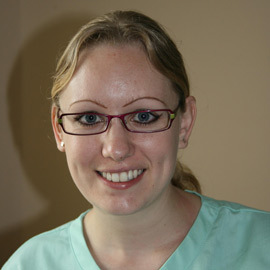 Kate joined the team in 2006 and has a range of responsibilities within the practice. 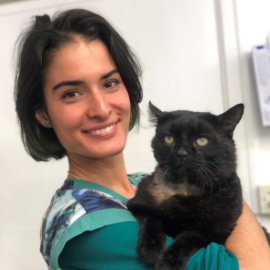 She particularly enjoys supporting in theatre and taking care of day patients and inpatients in the kennels as these are the times when she is directly involved with the animals. However, she also helps to prepare prescriptions, monitor anaesthetics and test samples in the laboratory as well as running weekly puppy parties. Kate enjoys the variety of her work and finds it rewarding and fulfilling to see animals recover as a result of the team’s work. 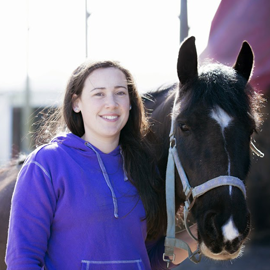 Kate is a keen horse rider and spends much of her spare time with her loaned horse Merlin. She also has two cats – Digsy and Lyla – who she adopted after they were brought into the practice as strays. 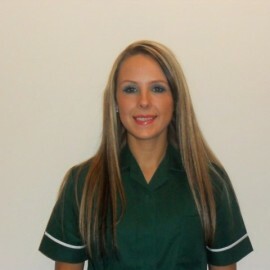 Nicola completed work experience at the practice in 2005, and joined the team as a student nurse in 2006. 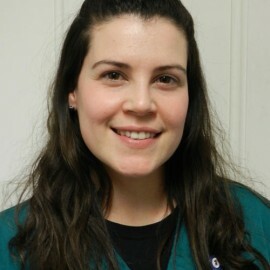 She qualified as a Registered Veterinary Nurse in 2011 after completing her studies alongside working with the patients. In her spare time, Nicola’s hobbies include dog walking and keeping fit. Sharon qualified as a Registered Veterinary Nurse in 2003, and is responsible for running the diabetes clinics at the practice. Outside of work, Sharon’s hobbies include drama and musical theatre. 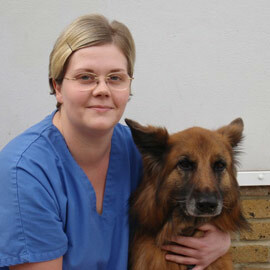 My name is Clare and I have been Veterinary nurse for 12 years. I enjoy all aspects of nursing but have a passion for rehabilitation. I have worked in general and referral practice and a hydrotherapy rehabilitation centre. I love helping clients and their animals and I hope to see you in one of the nurse clinics I run weekly. Andy joined the team in 2004, and as Practice Manager it is his responsibility to oversee the smooth running of the practice on a day-to-day basis. 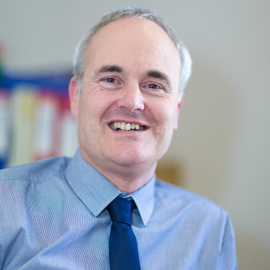 He deals with all accounts and financial matters as well as Health & Safety and Employment Law matters. Andy’s favourite part of the job is working with a friendly and dedicated team of people, and he also enjoys the fact that no two days are the same – each day brings new challenges! Deborah has worked at The Shrubbery Vet since 2006. 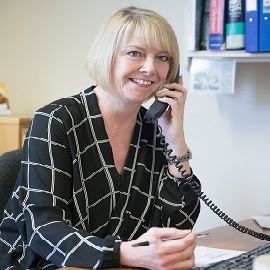 Her job role means she is responsible for handling insurance claims, as well as assisting clients and charities with queries, carrying out administration work, and providing IT support. 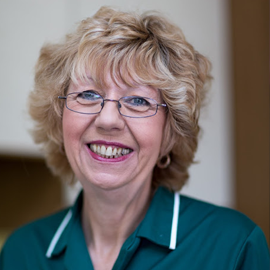 Deborah particularly enjoys working with her great team of colleagues, and dealing with a wide variety of tasks on a day-to-day basis. At home Deborah has a Jack Russell called Alfie. 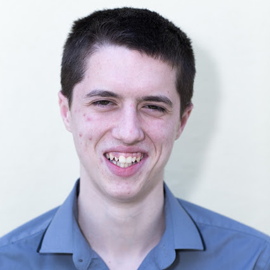 Reece has been part of the team since 2013 and provides general administration and IT support to the practice. His favourite part of the job is working with his colleagues, who he describes as “an excellent team”. At home Reece is kept busy by his eight cats!